Three people familiar with President Trump’s decision to name Nauert confirmed the pick, according to the report. 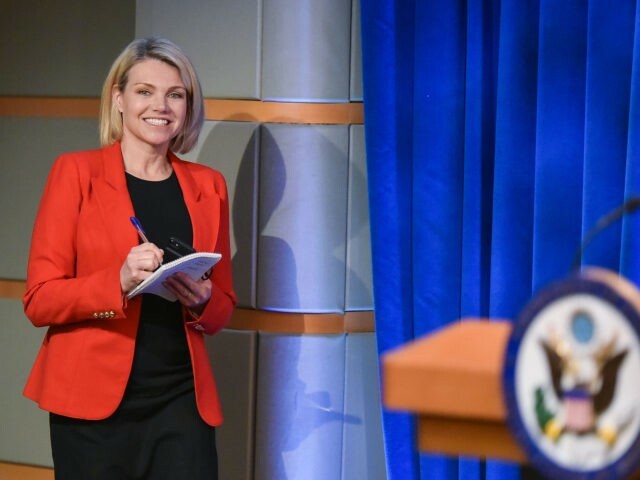 Before taking on the role of State Department spokeswoman, Nauert was employed as a Fox News anchor and correspondent. Nauert would replace Haley, who announced in October that she would be departing her position as U.S. Ambassador to the United Nations at the close of 2018. The current State Department spokeswoman has earned the trust of Secretary of State Mike Pompeo, and Trump’s daughter Ivanka Trump and her husband Jared Kushner, Bloomberg reported. Nauert beat out other contenders for the position including: former White House advisor Dina Powell, U.S. Ambassador to Canada Kelly Craft, and U.S. Ambassador to Germany Ric Grenell. Nauert would take up the U.S. mantle at the U.N. including holding sanctions on North Korea and defending Israel.